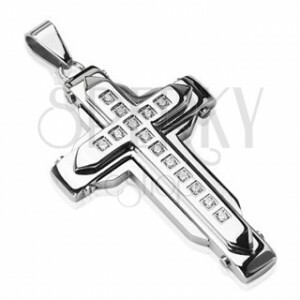 Pendant made of 316L steel - massive double cross decorated with lines of round clear zircons. 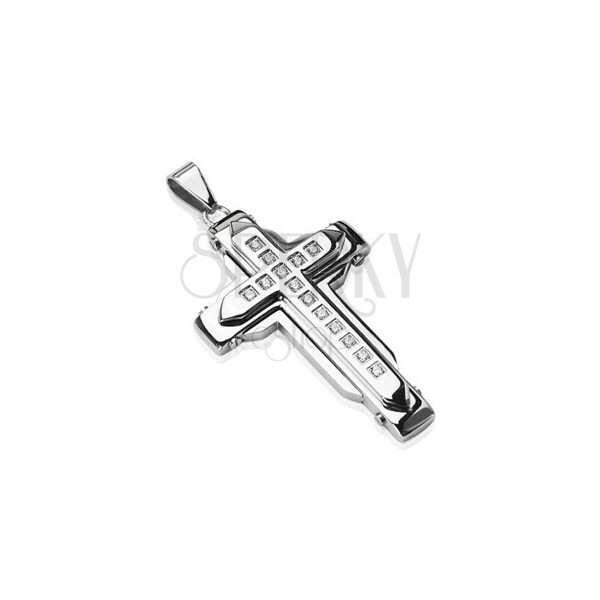 The steel pendant in silver colour is in shape of a big cross with double effect. The bottom cross has wide smooth shoulders. The upper cross is smaller with narrow shoulders and embedded sparkly zircons. The pendant clasp is elongated.